Lai, Hung Hop, 74, passed away on March 11, 2016 at the Hulitar Hospice Center. Born in Taishan, China, he came to the United States in 1975 and became a US citizen in 1989. He was the husband of Wai Yu (Yeung) Lai for 37 years. Mr. Lai was the owner of the Sam Sing Laundry in Providence. He then worked for Darling Hotels Inc for 13 years until November 2015. 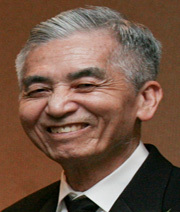 Besides his wife he leaves 2 sons; David Lai of Pepperell, MA and Vincent Lai of Providence and 3 grandchildren. His life will be celebrated with private calling hours for close family and friends on Friday.